I'm not going to show everything. A lot of it will pop up in my Instagram feed over time, I'm certain. And I got a lot of the typical stocking stuffers of candy and little knickknacks that I am happy about, but I don't want to photograph or share every little thing. So instead, I'm sharing a few of the items that were deemed as my "special" gifts. That's what my husband and I call the gifts that are under our tree and the family tree at my MIL's. Insert typical disclaimer here about the not bragging or rubbing things in anyone's face. I happen to enjoy these types of posts immensely and I often get ideas (and new additions to my wishlist) from seeing what others get for various occasions. If you don't like this type of post, I understand if you choose to skip it and read my other material. But do know it's not about the material things at all. As I noted in a previous post, my best Christmas gift came in way of a long lost wedding card from my grandmother. So many emotions! Feelings of love, happiness, faith, and peace. That's my Christmas. 1. New reading material. My dog Indy got me the dog book. ;) // 2. 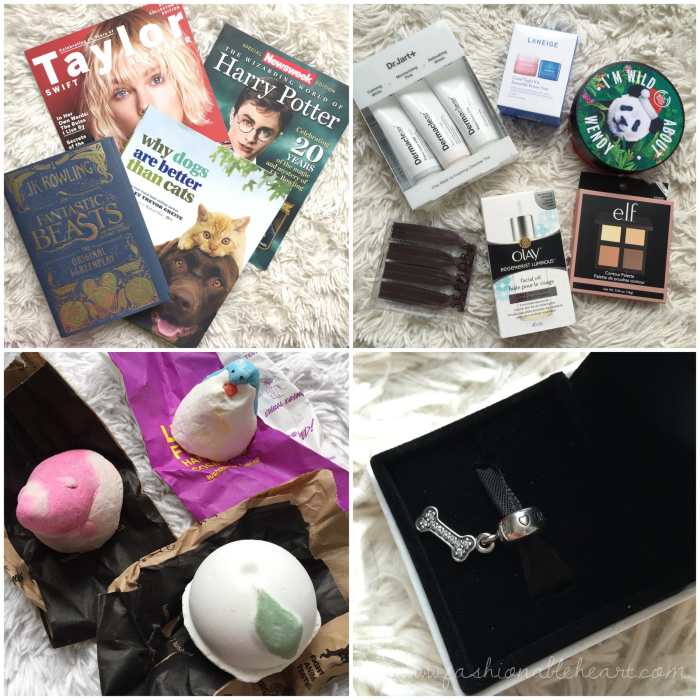 A few beauty items that you'll be seeing on here soon! 3. Lush Christmas goodies. // 4. A Pandora charm that says "I love my dog". So cute! 5. A handpainted polar bear trivet and keychain. // 6. Some Disney measuring cups. Adorable! 7. Mugs, infusers, tea, etc. Lots of polar bear love. // 8. 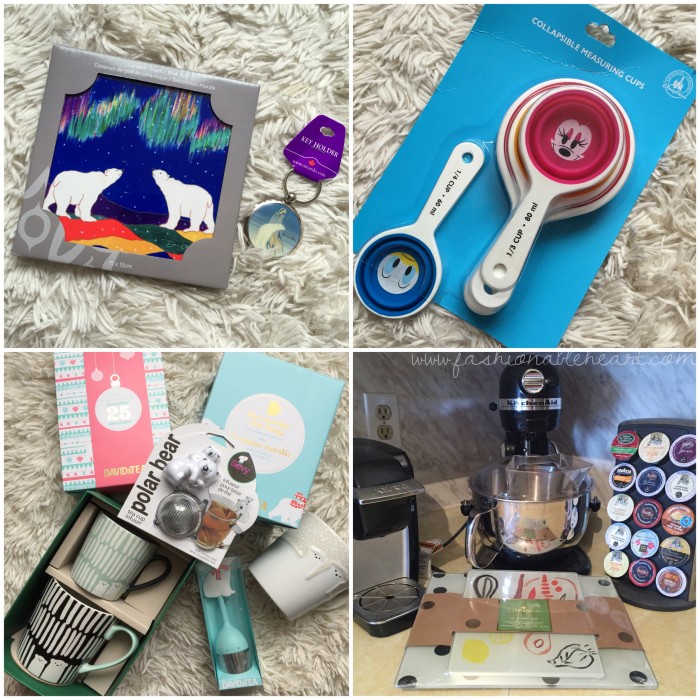 Kate Spade food prep boards and a KitchenAid mixer!! I'm so excited about that mixer. I've wanted one for so long. I've already made two batches of banana bread and I cannot wait to make more things! I am so in love with it. Aside from the items above, I also got: giftcards, a few blu-ray movies to watch, and a virtual reality headset. If you have a VR headset, download the Queen Bohemian Rhapsody app because it is so well done and worth a watch. I also got a great care package from my friend Mel, which you can see on my Instagram. And my friend Daniel got me some country ham, biscuits, and peach jam while on a trip down south in Tennessee - a little dose of home for me! The gift I was looking forward to giving the most was to my husband and it actually fell through thanks to horrible service from The Shopping Channel. It happens, but I'm still annoyed and trying to settle things with them! My husband loves hockey and the history of teams, past and present. So when I found that they had Quebec Nordiques slippers, I knew he would love them. Something simple, but completely up his alley. But things went wrong with the shipping again and again and the customer service has been horrid. Now they say that I canceled the order, which I did not because I was still holding onto a little hope of it coming. So that has been loads of fun. Now to decide if I use the giftcards right away or hold onto them. We're already putting one of the Cineplex ones to use on Monday night to see Rogue One. If you've seen it, let me know what you think of it. I'm not a Star Wars fan like my husband, but I did enjoy The Force Awakens! 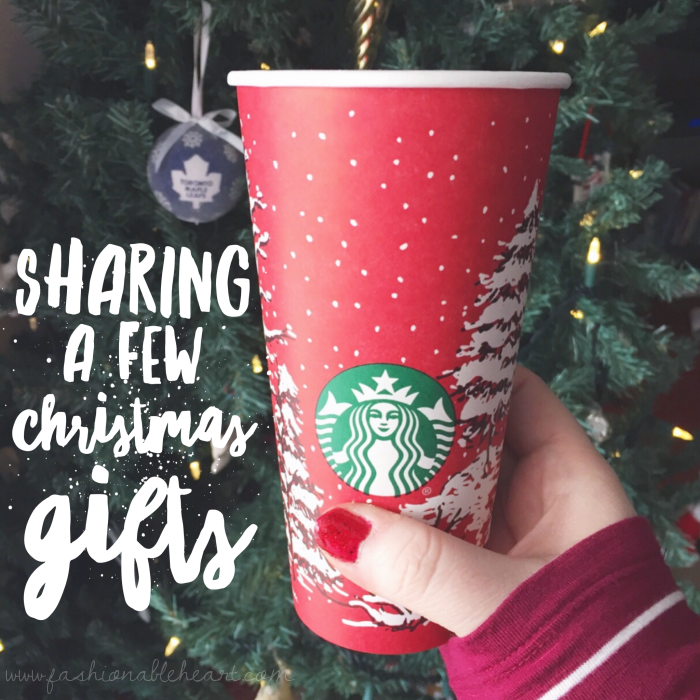 If you did one of these posts, let me know so I can come read yours or let me know in the comments what gift(s) you loved opening or giving!